Keyboard Waffle Maker - What's Goin' On In The Kitchen? Perfect for the food loving computer geek, this Keyboard Waffle Maker can fire off waffle after waffle in just minutes. It can also be used to make keyboard shaped hash browns, paninis and more. The non-stick aluminium design will make sure none of your waffle mixture gets left on the griddle. The heat resistant ergonomic handles also make this easy to hold. This Wireless Keyboard Waffle maker can be used in the grill at home, or on portable stoves if you are going camping. 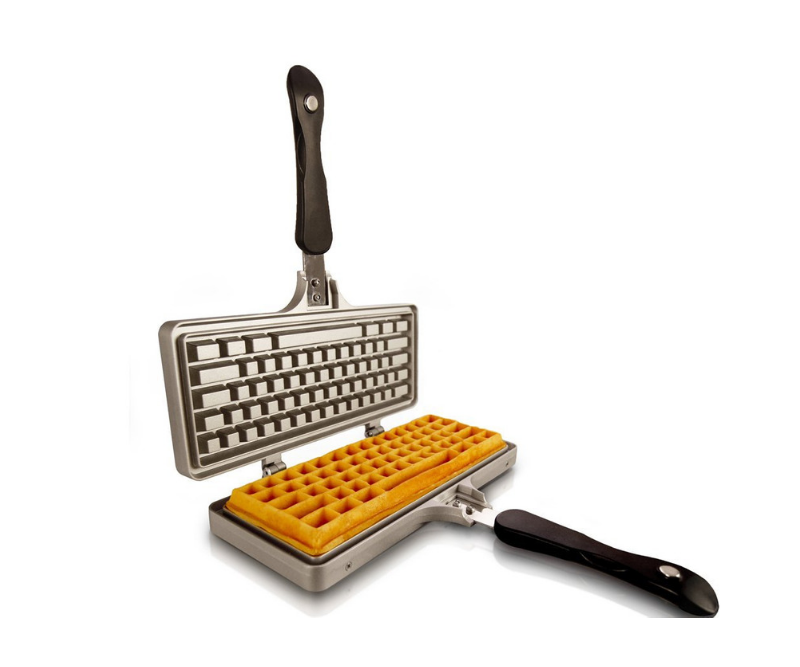 This means you can make your keyboard shaped waffles any time. If you love this waffle maker, then check out some of the other cool kitchen gadgets and tools I found.